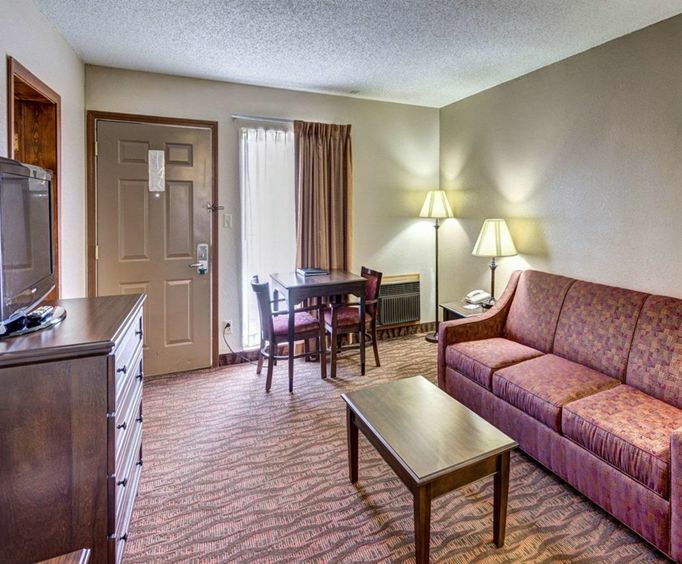 Less than two miles from Dolly Parton's Dixie Stampede Dinner and Show, the Comfort Inn Shepherd of the Hills Expressway provides easy access to Branson's entertainment options. 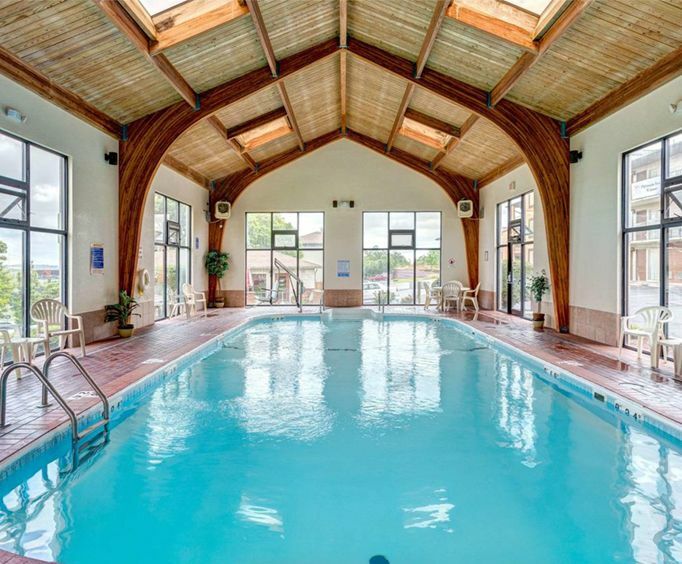 The hotel is designed with your comfort in mind, providing various amenities, such as an indoor heated pool, indoor hot tub and a free hot breakfast served daily. The Shoji Tabuchi Theatre is within walking distance of the hotel, and many attractions, such as the Hollywood Wax Museum and the Branson Titanic, are only a short drive from the hotel. 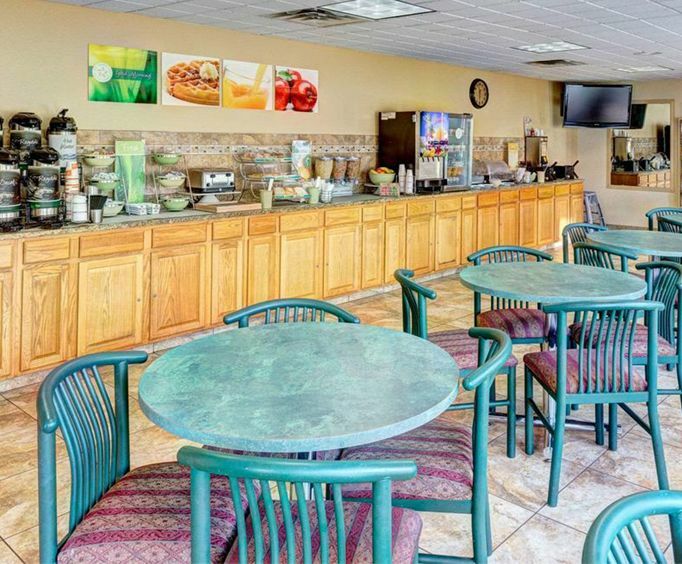 When you wake up hungry, you can head down to the complimentary breakfast bar, which offers yogurt, cereal, hot waffles and more. On nice days, the sun deck and picnic area are great places to relax and mingle with other guests. An indoor hot tub helps soothe away the aches and pains from a long day, and the heated indoor pool is great for either workouts or recreational use. A fitness center is also located nearby, and it offers a great opportunity to stay in shape while away from home. Enjoy your own snacks and drinks with a coffee maker, refrigerator and microwave included in every room, or order room service if you prefer. Access to high speed internet, cable television and local calls are provided without charge. Dine out at McFarlain's Family Restaurant, Olive Garden or Red Lobster, which are all located within a tenth of a mile from the hotel, or enjoy shopping at Factory Merchants and the Tanger Factory Outlet, which are both within two miles of the hotel. Breakfast area a bit crowed otherwise fine. Hvac in room noisy otherwise okay. Quiet, immaculate rooms comfortable beds excellent breakfast bar pleasant and courteous staff, everything worked - what more could we ask for? The hotel was very clean and staff very friendly!